Should you trust the self-care items available at the much-loved grocer? Buying your health and beauty products at Trader Joe’s is like a macrocosm of two-in-one shampoo and conditioner: you achieve two tasks at once. Getting through your grocery list and stocking up on wellness essentials in one trip can be the best case scenario for those of us with packed schedules. It sure sounds like a dream, but is it it a good idea? Is it safe to buy beauty products at Trader Joe's? There’s a clear customer-base that comes to mind when we think of Trader Joe’s: smoothie-drinking, ashtanga-practicing, cost- and waste-conscious. “Trader Joe's knows its target market and will have selected products that resonate with the values and ideals of its customer base,” Dr. Julia Carroll, a board-certified dermatologist at Compass Dermatology says. So yes, you might be buying a great beauty product that smells like an apple orchard, but you’re also buying really good marketing, even if that bare-bones packaging has you thinking otherwise. 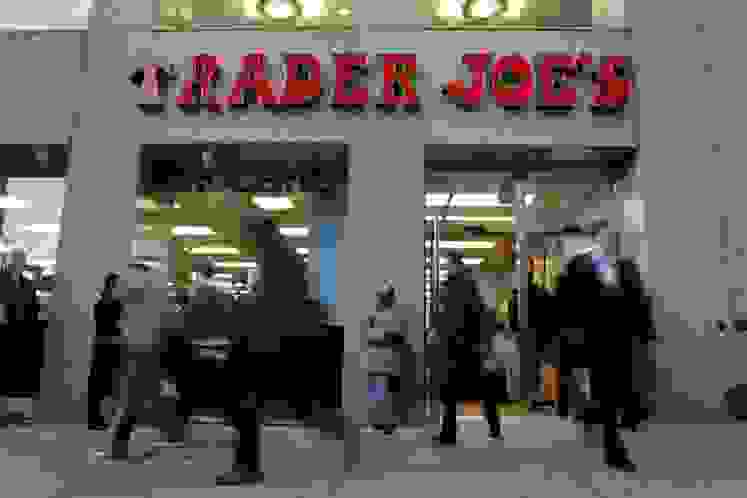 Trader Joe's shoppers feel comfortable buying the brand's beauty products because they see them as direct extensions of the health foods that landed them in the store in the first place. Consider the Cucumber Avocado Body Butter, Ginger Ultra Moisturizing Hand Cream, Grapefruit and Ginger Body Scrub, Blueberry Acai Facial Scrub, and Honey Mango Shave Cream: It basically reads as a grocery list, so the transition to purchasing beauty isn’t so daunting. Your approach to buying beauty products at Trader Joe’s should be no different than your approach at any other retailer. Those food-based monikers “speak to the idea that there’s a natural aura about them. There’s something fun about having products that have those names, and it’s consistent with their broader brand strategy,” Williams says. Nothing in Trader Joe’s roster of products alarmed Dr. Carroll, and she noted that similar products in the health and beauty space are also available from major retailers like Walmart and Saks, which are both widely trusted health and beauty retailers. “It's not the [brand or retailer] that makes [a product] safe, but more the testing that each product has gone through, as well as vetting of the ingredients,” says Dr. Carroll, so your approach to shopping at Trader Joe’s should be no different than your process at any other retailer. With such a selection, actually choosing what to buy can be overwhelming. Dr. Carroll says skin care and beauty products are an individual choice, and what you buy should depend on your skin type and your product preference, including fragrance, ingredients, or claims. "Organic" doesn't always mean "better:" Unfortunately, we don’t all have access to a board-certified dermatologist during our Sunday afternoon errands, so many of us will look for the “organic” label on a health or beauty product for a quick seal of approval. But not so fast. “Organic skincare is not something that guarantees safety, nor does [the term] natural,” says Dr. Carroll, adding that many "natural" products can cause allergic contact dermatitis. So, is it safe to buy beauty and skin care are Trader Joe's? Absolutely. The only difference between shopping for them at Trader Joe’s and other major retailers is that you’ll have a few bucks left in your pocket after you check out.